Custom Chalices are a great way to honor significant events and people in your congregation while promoting your congregation “brand” with you own logo. Table chalices are big enough for the approximately 2 inch square logo to be placed on the base of the pedestal. I use ceramic pigment decals, which are applied and then fired a 3rd time. These decals are not stickers. The ceramic pigment melts into the glaze during the 3rd firing. They won’t peel, curl up or rub off. The result is a professional looking logo that is part of the glazed surface. After designing a file with multiple copies of your logo, the file is sent to a pigment printing company for processing. Because the decals become intrinsic with the glaze surface, care must be taken in choosing the glaze color to make sure that the ceramic pigment remains visible. Once your congregation has ordered a sheet of 30 decals, we keep them on file so that purchasing custom chalices in the future does not require the initial set-up charge. Chalices can be personalized with individual names, dates and special messages. The process takes around 30 days from conception to delivery. Since the pigment decals can only show on lighter colored chalices, sometimes your inscription can be carved into the chalice when it is leather hard. 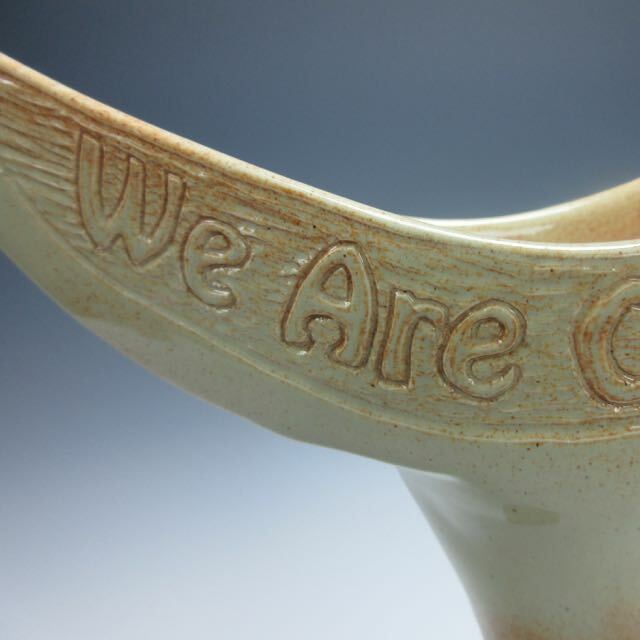 Email me to discuss your needs and we can figure out the best method to personalize your special chalice. Sometimes time gets away from us and we need a rush order. There are many costs for expedited shipping and jumping the line in our shop. Let us know what you need and how fast, and we will try to accommodate you. I also do all kinds of special requests for custom chalices – even without logos. 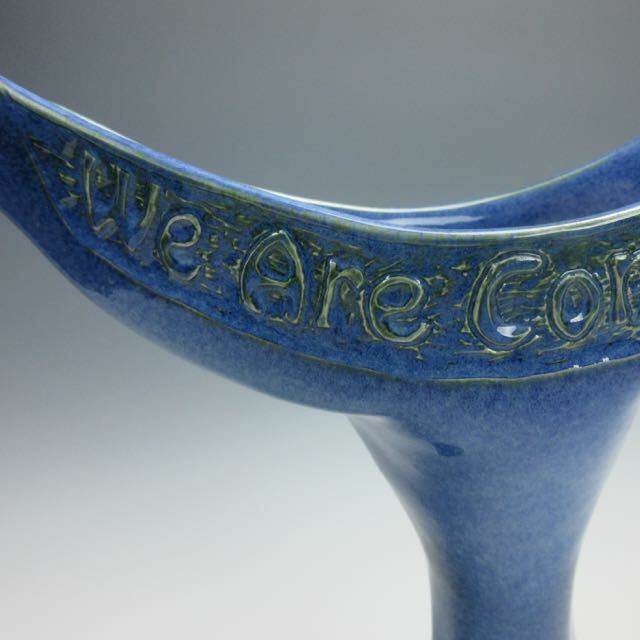 If you have an idea or color in mind, contact us to see how we can co-create the perfect chalice.